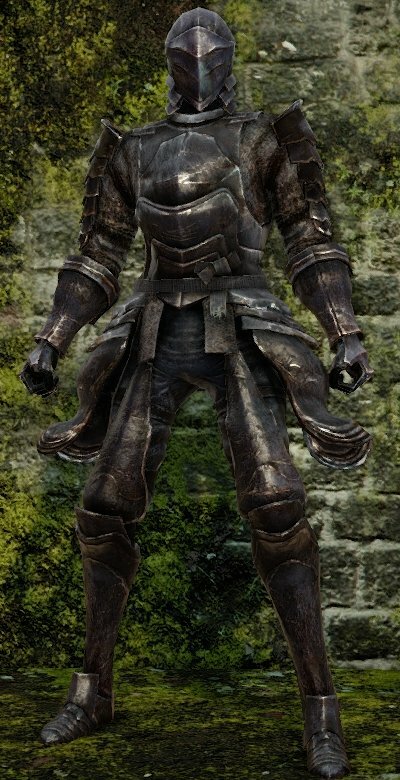 Alonne Knight Set is an Attire or Armor in Dark Souls 2. "Helm/Gauntlets/Leggings word by Alonne Knights. The bonds of the Alonne Knights, who served the Old Iron King, were mightier than the land's iron, but in the end the knights were subsumed by the flames that brought the castle down." Dropped by Alonne Knights within the Iron Keep. They are the standard enemies of the area. Upgraded with titanite shards, large titanite shards, titanite chunks and titanite slab. Very high poise for relatively low weight.